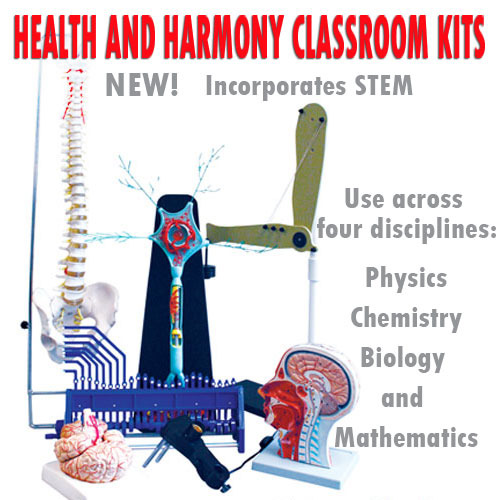 Kinematics There are 44 products. Acceleration is the change in velocity over time. 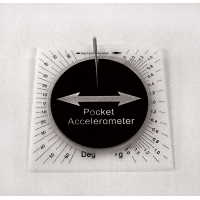 Our handy pocket accelerometer allows your students to measure acceleration in a variety of ways: on a bike, in a car, even with roller coasters! Measures 4" x 4" x 1 1/4". The stringless pendulum demonstrates simple harmonic motion in a way that doesn't seem so tied down. Students will see the period of an oscillating body from a different perspective than the standard string and ball. 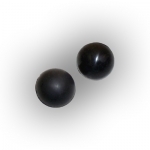 The period of the 1 inch steel ball can be measured, and the distance to a focal point can be calculated to compare the demonstration to a classic pendulum. 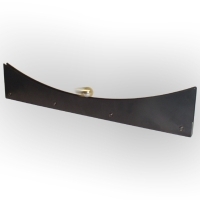 Includes pendulum track, 1 inch steel ball, and instructions. 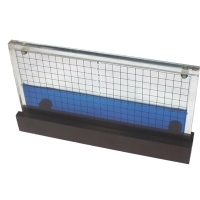 Use this cart to study acceleration independent of gravity & constant force motion. 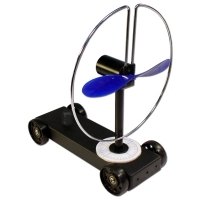 Change the angle of the fan in relation to the cart to investigate balanced forces and net balance. Requires (4) AA batteries, not included. These colorful cars allow you to experiment with elastic and inelastic collisions and conservation of momentum and energy quickly and economically. 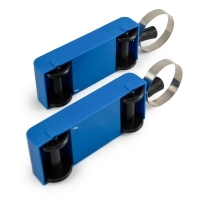 Each blue plastic car has a 10" long spring steel bumper, deep well for weights (not included) and low-friction wheels that snap into place if dropped. 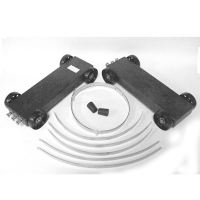 Includes two cars, two bumpers with hardware, two rubber stoppers, instructions with theory and labs. 6 oz.